172 pages with diagrams and index. Duodecimo (6 1/4" x 4 1/4") issued in brown cloth with gilt lettering and decorative pictorial to spine and front cover. 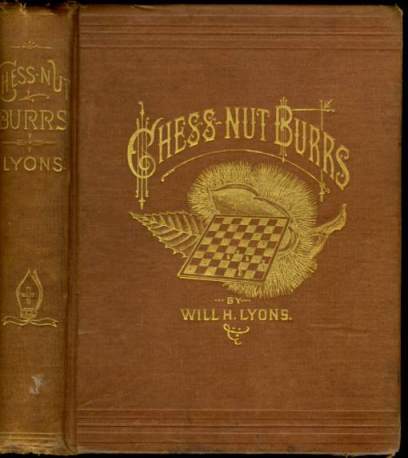 (Betts: 32-13) First edition. The introduction briefly presents the main facets of problem construction, composition and solution. The main part of the work consists of 100 examples by various composers (41 two-movers, 59 three-movers), with solutions on pages 164-172. Includes an index of composers. Corners bumped and rubbed, front inner hinge beginning, spine gilt dulled, spine ends rubbed. A very good copy.